We invite proposals for special issues on any political topic, covering any part of the world, using any epistemological or methodological approach. We are keen to make Politics more representative of the global field of political research, so submissions from colleagues working outside of the Global North, and from colleagues of colour, are especially welcome. As is the case with all submissions to Politics, special issue articles should be addressed to scholars working across the different sub-fields of political studies. While they may address niche topics and employ specialist methods, every article should explain clearly and simply what its contribution is. Special issues should consist of up to eight original research articles, each of 4,000-8,000 words in length, together with an introductory article by the special issue lead author explaining to topic addressed, the questions asked, and the contributions made by each of the component papers. The best special issues often build on successful workshop sessions or conference panels, but this is not a requirement. We are interested, however, in coherent proposals in which all papers address a common theme in some way. A brief statement explaining the topic addressed by the special issue, identifying questions to be answered by the contributing authors and explaining how the proposed special issue advances the field of political studies as a whole. Details of the contributing authors and a short (200 words) abstract for each proposed contributing article, including an explanation of how each article contributes to the broader objectives of the special issue, and the specific questions and cases it considers. A realistic timeline for the submission of papers. We suggest allowing at least six months from submission to publication, to allow for peer review and author revisions to take place. We are interested in proposals based on workshops or conferences that have not yet taken place, but we ask that you be realistic about how long it might take to turn conference presentations into finished articles. The Editors-in-Chief will consider all special issue proposals received by Friday 15 March and will endeavor to make a decision about which proposals to accept within four weeks of that date. Lead authors should note that individual articles will still be subject to blinded peer-review and will need to meet the same standards set for all submissions to Politics in order to be accepted. We therefore recommend that lead authors allow time to review individual submissions themselves ahead of submission to Politics, in order to maximize each paper’s prospects at the peer review stage. 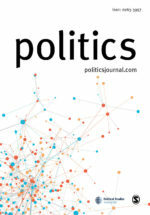 Please direct any questions to the Editors-in-Chief via politicsjournal@qmul.ac.uk.